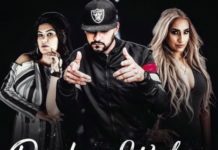 Sohniye Lyrics- S. Tan | Deep Sandhu Preet | New Punjabi Songs 2018- Sohniye Je Hoya Pyar Mera Saccha Is New Punjabi Song Sung By S. Tan And Rap Is Done By Lucky Taan. Songs Sohniye By S. Taan Stars S. Tan And Tanvi . Song Sohniye Je Hoya Pyar Mera Saccha Is Composed By Dj Rude And Lyrics Are Penned By Deep Sindhu And Preet Midda. Song Is Released By White Hill Music On 24th March 2018. Sohniye Je Hoya Pyar Mera Saccha..
Bin Mere Rah legi Kya ? Ni Main Dil Waali Khol Ke..
Ha Ni Main Dil Waali Khol Ke..